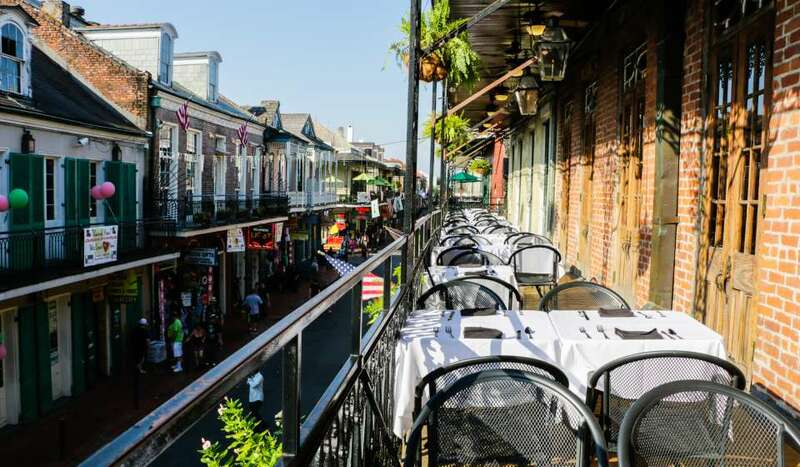 New Orleans may be a laid back place where go-cups are the norm and chilling is always encouraged, but there’s an adventure for everybody if it’s thrills that you seek. 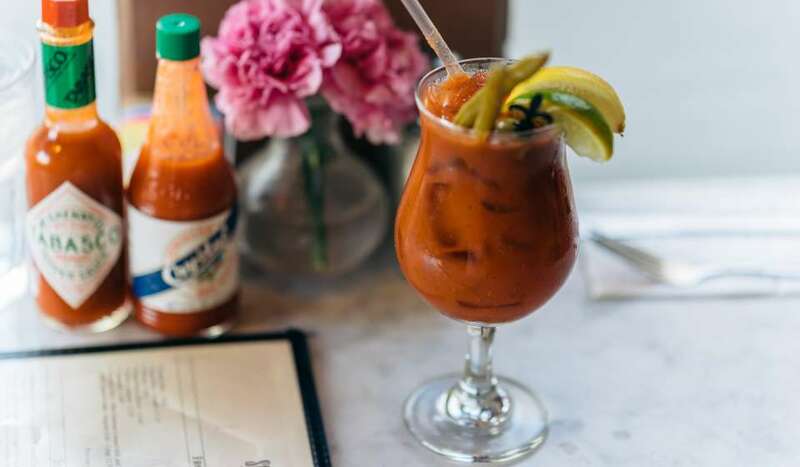 From spooky ghost tours, to kayaking in the swamps, diving deep into historic neighborhoods or trying something exotic to eat (alligator, anyone? ), an adventure awaits. 1. Rent a bike at City Park and cycle past some of the oldest oak trees in the world. Or explore the city on a bike tour, maybe a culinary one if you like to try new foods. 2. Track spirits, specters, voodoo queens and even vampires on one of the city’s bone-chilling ghost tours in the French Quarter. 3. Get behind the wheel of a super fast Ferrari and do some laps around the track at NOLA Motorsports Park with Xtreme Xperience. You can ride with a professional or drive yourself. 4. 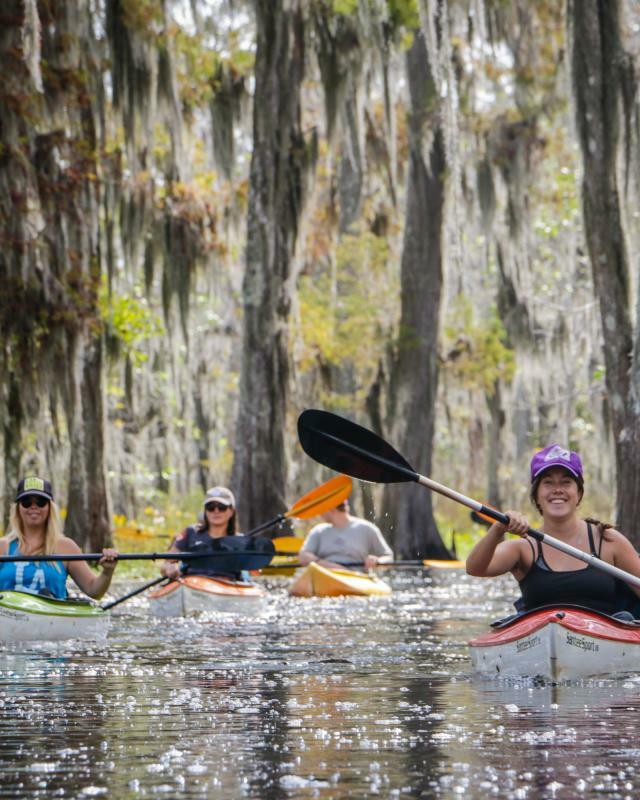 Kayak through the Tupelo Swamps and learn about the “Lost Lands” of Louisiana. 5. 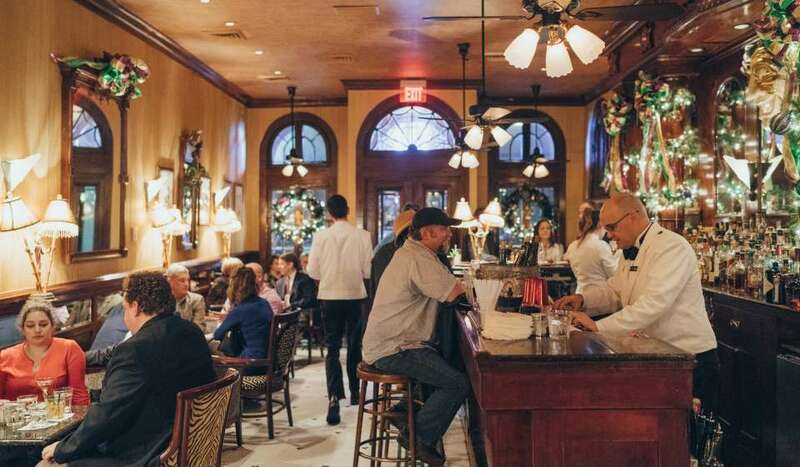 Discover New Orleans neighborhoods, each with their own character, history and story to be told. 6. Take a walk through the Lafitte Greenway that will bring you all the way from Armstrong Park to Mid-City. 7. And if you take this path on Thursdays, Fridays, or Saturdays in the afternoon, you’ll run right into Second Line Brewing, where you can hear live music and grab a beer from the folks who make it. 8. 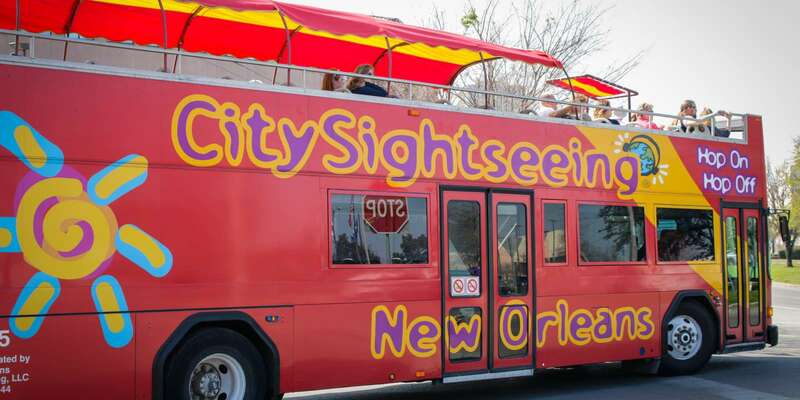 Pack a picnic and take the Algiers Ferry to see our beautiful skyline from the Mississippi River. 9. See the newest elephant exhibit Audubon Zoo. And be sure to say hello to the alligators. 10. See some bugs and other creepy creatures at the Audubon Insectarium. 11. Pet a shark at the Audubon Aquarium. 12. 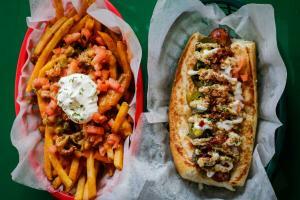 Try some only in New Orleans dishes such as a crawfish hot dog from Dat Dog or alligator cheesecake from Jaques-Imo’s Cafe. 13. 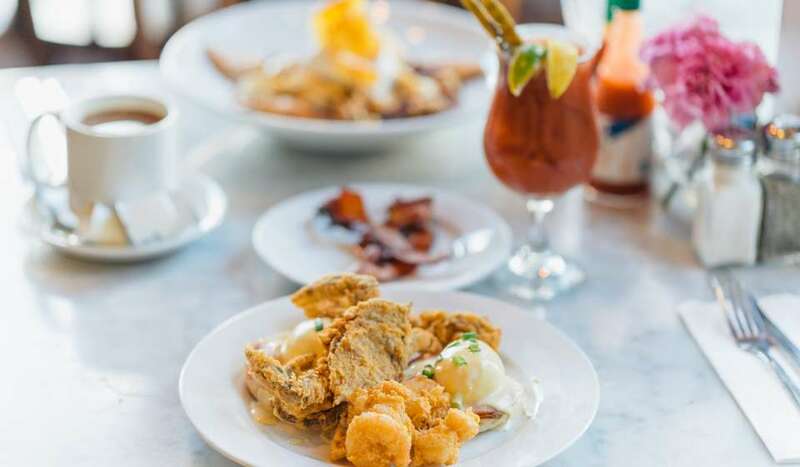 For a sweet and salty treat, order the Praline Bacon (exactly what it sounds like) from Elizabeth’s in the Bywater. From there you can wander across the Piety Street Bridge to Crescent Park and walk off all that delicious food. 14. Stay active and meet travelers from around the world with the Sweat Social’s outdoor exercise classes. Or meet up with free Move Ya Brass bounce, hip hop and stretch classes by the river. 15. 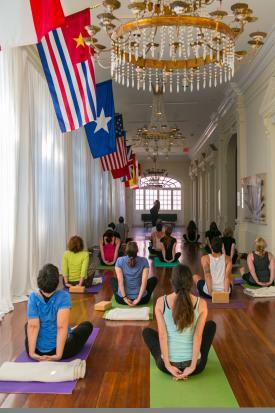 For a more relaxing ambiance, try Yoga at the Cabildo or Sculpture Garden or even on a kayak on Bayou St. John. 16. Take a day trip to a nearby plantation, like Laura or Oak Alley*. 17. 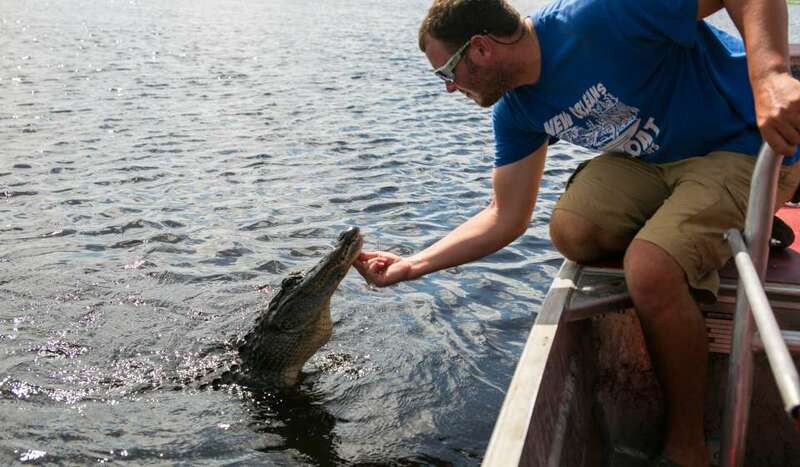 And if you’re a serious adrenaline junky, you can get up close and personal with the alligators on a swamp tour. 18. 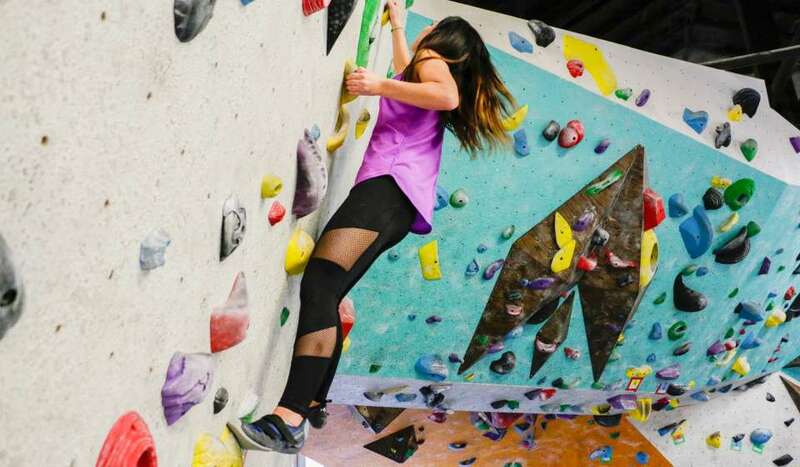 Try your climbing skills at New Orleans Boulder Lounge on Tchoupitoulas Street. 19. Catch a fishing charter that will transport you straight from the French Quarter to the waters of Lake Pontchartrain or the Gulf of Mexico. 20. Relive the untold story of a soldier as you go back in time at the fabulous World War II Museum. *Please note, taxis and ride-sharing services are not available for pick up from most plantations. Transportation options are available through all the plantations-- please book accordingly.